Laptop Screws Direct Ltd | Rapid Spares. Laptop Screws. Server Screws. Server Caddy Screws. Computer Screws. Titanium Screws. We are Rapid Spares Ltd. We are the leading supplier of Laptop Screws on the internet. Supplied by authorised Microsoft partners. Oem bundled or recovery software may be listed only if it includes the Orignal hardware, such as motherboard, hard drive or computer oem software therefore this sale includes Orignal beyond economical repair computer and motherboard for a fee that can be discussed. Swedish Finnish Keyboard sticker. You do not have to think how to apply Stickers.You'll know it intuitively. Applying possess doesn't take more than 10-15min. Applying stickers on you keyboard properly once, and you can be aware that letters will stay for ever. Water bottle pocket. Quick pocket with headset port. Audio pocket. Size: 50 CM X40 CM X 19 CM. Sunglasses holders. Padded shoulder strap. USED Original OEM DELL Alienware 330W AC Power Adapter Y90RR ADP-330AB DA330PM111. Output: 19.5V 16.9A 330W. COMPATIBLE PART NUMBERS: 681808-001, R36LC010, R36LC030, R36LC050. NEW HP PAVILION G6-2000 G6-2100 SERIES LED SCREEN DISPLAY CABLE. Gigabyte GA-X99-Desingare EX. LED Colour: RGB. 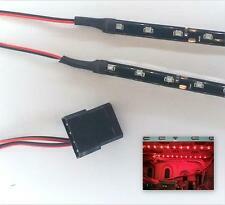 Magnetic LED Strip Light - Bright, Flexible & Reusable. This does not affect your statutory rights. We exclude any liability for any errors and omissions on the site. A1398 A1425 A1502 Bottom Case Screw Set of 10 Pcs 2010 2011 2012 2013 2014. Easy clean installation. Mount the matte side against the screen, the gloss side faces outwards. Protect your privacy, people sit on the side only see dark blur. Reduce UV. Compatible with most capacitive touch screens. To set up your dock, simply insert an Apple Lightning cable through the base of the charging dock. We advise that you stick or glue your dock to your worktop. Glue may be required to ensure your cable does not wobble when the mouse is docked. COMPATIBILITY : DELL LATITUDE E6400 E6410 E6500 E6510. Passend für: Bang & Olufsen BeoPlay H7, BeoPlay H8.Ersetzt den Akku-Typ: 1973822, PLB-103. Maße: ca. 40,5 x 35,5 x 6 mm.Kapazität: 650 mAh. Akku Li-Ion für Bang & Olufsen BeoPlay H7 H8 (ersetzt PLB-103). This is an OEM new SATA hard disk drive connector cable used to connect a second hard drive to your Apple Mac Mini with all required upgrade kit (screws and tools). Bottom Hard Drive flex cable. 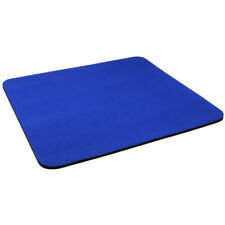 This is perfect replacement part to replace the damaged one and get back your device. Please note this is an excellent replacement part which comes ready to install. This part is guaranteed to function as long as you have it. Technical Information: - • Durable and long lasting. Optimized for streaming and recording. Two omnidirectional mics ensure clear, no-drop streaming and recorded video. Software is available for download from Logitech website. Get fast, smooth uploads with H.264 – advanced compression technology that demands less network bandwidth. 1 x Sering Wheel Tray (as picture show ). The Table 's Load : 4KG. Note: Light shooting and different displays may cause the color of the item in the picture a little different from the real thing. Fit for :car's steering wheel. Akku Li-Ion für Logitech F540 / G930 (ersetzt 533-000074). Passend für: Logitech F540, G930 (981-000257). Ersetzt den Akku-Typ: 533-000074. Maße: ca. 38,5 x 34 x 6 mm.Kapazität: 700 mAh. ersetzt den Originalakku von o.g. Modellen. MCover® hard case for. Good News : iPearl Inc just released a new case for 2018 14" Lenovo ThinkPad X1 Carbon 6th Gen. Laptop. This hard shell case is designed with our expertise on designing hard shell case for Acer/Asus/Lenovo/HP/Dell/Toshiba/Samsung laptop and the 13.3" Apple MacBook and 15.4" MacBook Pro. 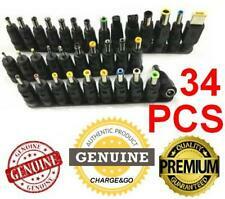 VPCS13M1E/W, VPCS11B7E, VPCS12A7R, VPCS12X9E/B, VPCS11X9E/B, VPCS11M1E/W, VPCS12J1E/W, VPCS13S9E/B, VPCS11X9E, VPCS11C5E, VPCS12B7E, VPCS12X9R/B, VPCS11M9R/B, VPCS12L9E/B, VPCS13V9E/B, VPCS11D7E, VPCS12C5E, VPCS13A7E, VPCS11V9E/B, VPCS12M9E/B, VPCS13X9E/B, VPCS13I7E, VPCS11E7E, VPCS12C7E, VPCS11V9E, VPCS13B7E, VPCS11V9R/B, VPCS12M9R/S. Image of the screws may differ from the actual screw set. 1 set x Bottom Base Screw Set (10 Pcs). OEM Charging Port Flex Cable For HTC Incredible 2 ADR6350, Incredible S PG32130. We hope you understand.